Brontë enthusiasts will descend on York next month to celebrate the life and work of Wuthering Heights writer Emily. A Peculiar Music is the title of this year’s Brontë Society conference, at the Marriot Hotel, which marks the 200th anniversary of Emily’s birth. A society spokesman said Emily had been variously described as visionary, determinedly private, and singular. 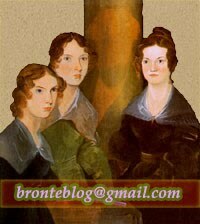 She said: “Emily is the most enigmatic of the Brontë siblings, and this conference affords in us opportunities to delve deeper into the complexities of her personality and her limited but extremely influential literary output. Maupassant and Brontë's styles we rather think are quite different, though. The Times presents the upcoming BBC documentary Life Inside the Bell Jar. Zoë Ball adores the summer holidays, chiefly because it gives her more time for reading. “I start collecting summer reads way ahead of holidays. The perky presenter, 47, who is separated from DJ Norman Cook, loves browsing in secondhand bookshops. “I collect old editions of favourites like Wuthering Heights and Alice’s Adventures In Wonderland. Alice and Bethany grapple with Jean Rhys' Wide Sargasso Sea. They don't necessarily agree on it but have a lot to say about it anyway, before going on a meander towards classics, contemporary classics, the literary legacy of Jane Eyre and more. Join us at 8pm on Tuesday 7th August for the Twitter chat on the hashtag #WPAYOSargasso.